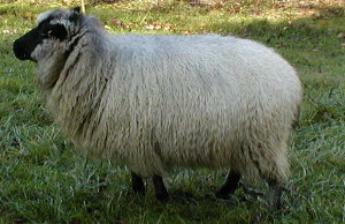 Icelandic Sheep are one of the oldest and purest breeds of sheep, that were brought to Iceland by the Vikings. 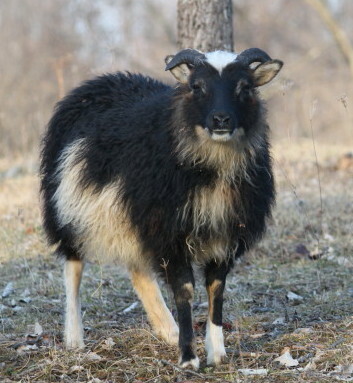 This is a triple purpose breed that will not only produce wool, but meat and milk as well.Their fleece is dual coated, which gives them the protection they need to withstand cold and wet weather. The undercoat is called the thel, it is fine and soft. The outer coat is much coarser and called the tog. The wool is sought after by hand spinners and is a dream for felting. 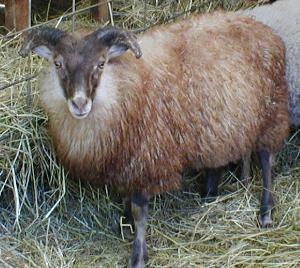 Icelandics come in a variety of colors and patterns, and can be both polled and horned. In Iceland the sheep are raised mostly for their meat, which is very mild, and sweet. Their sweet tasting meat is considered by many to be of gourmet quality. Lambs can finish in 3 -5 months on good pasture. The ewes are excellent mothers they most often have twins but many are able to raise triplets without assistance.This breed has been used for centuries in Iceland for their milk production, and they are now becoming popular in the states not only for milk production but for the gourmet cheese that can be made from their milk.